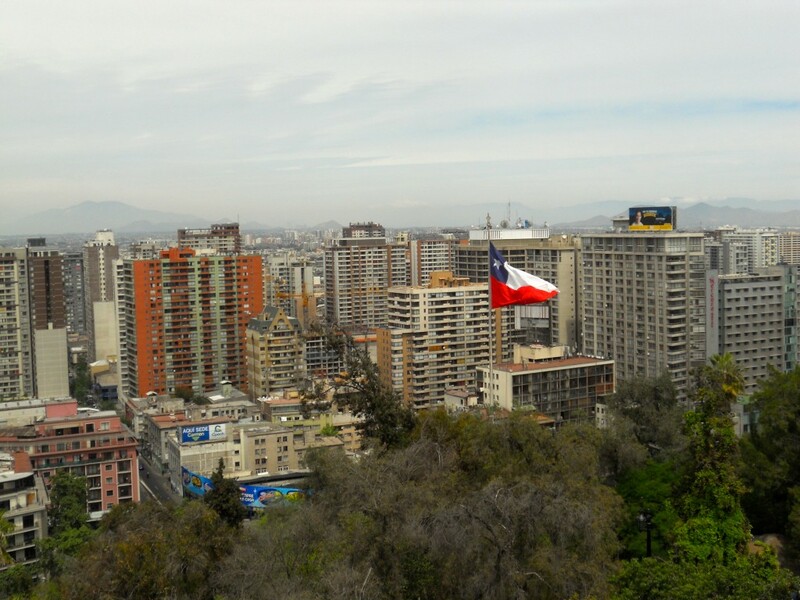 After Mendoza we headed across the Andes to Santiago, Chile. 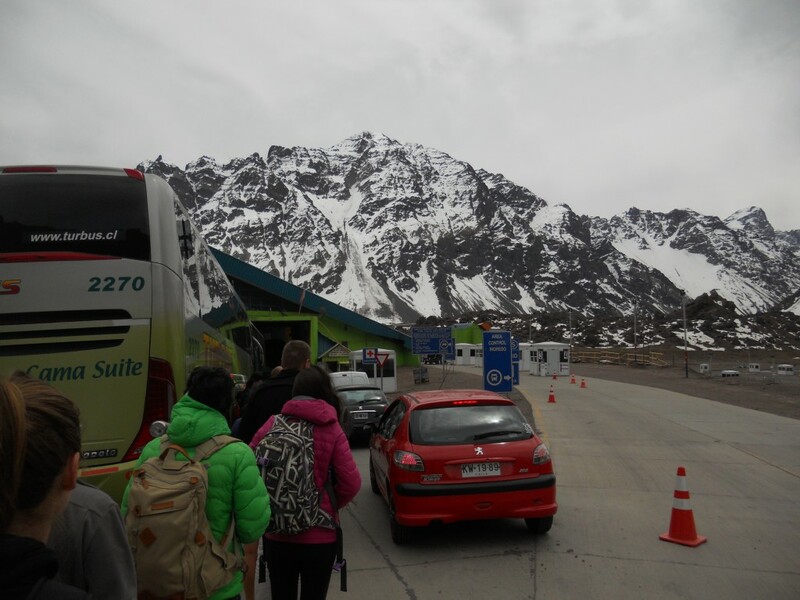 All the Andes border crossings are so scenic! 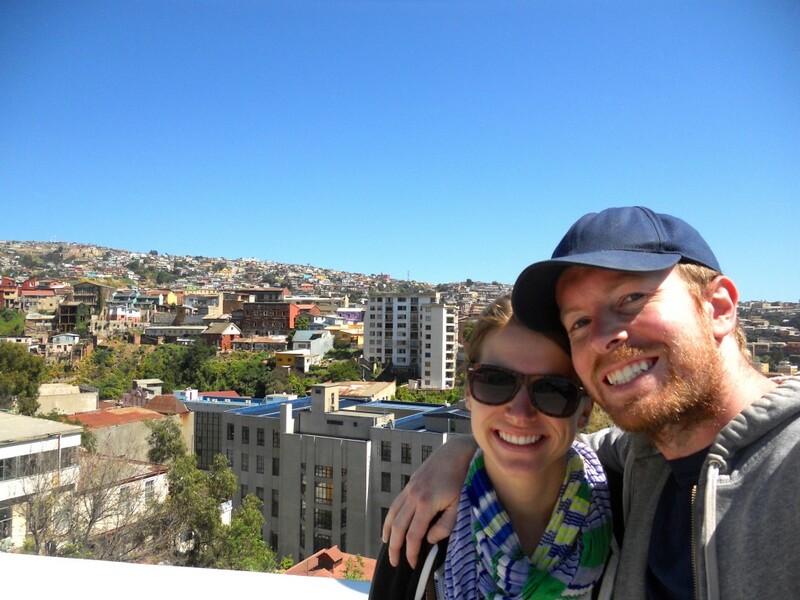 After more than a month of only spending a few nights in each city we visited, we decided to do a full week in Santiago and rented a room in an apartment. It was so nice to unpack a bit and get into a little routine. Our routine for the whole week was: sleep in, work out (there was a gym in the building! ), late breakfast, wander around, snack, more wandering, drinks/dinner, bed. It was awesome! The only big to do on our visit was to stock up on trekking clothes. 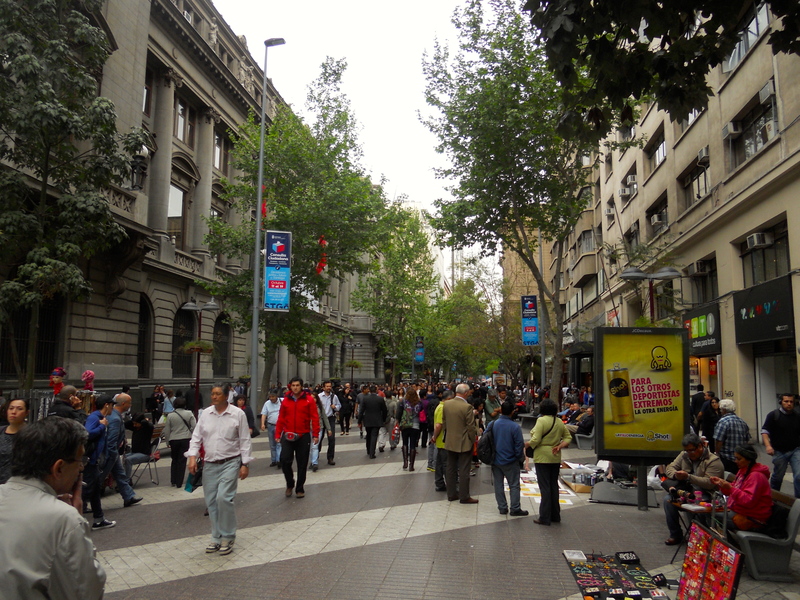 When we left the U.S. we weren’t planning on doing any multi day treks so we needed to do a little shopping before we got to Patagonia (the region, not the store). 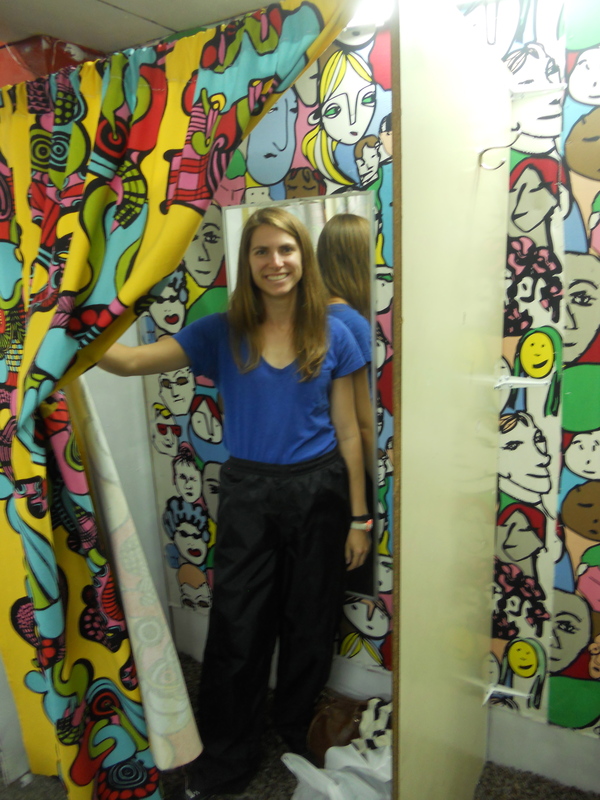 Luckily we found a few blocks of second hand stores and got a ton of stuff – including boots and waterproof pants for both of us – for under $100. 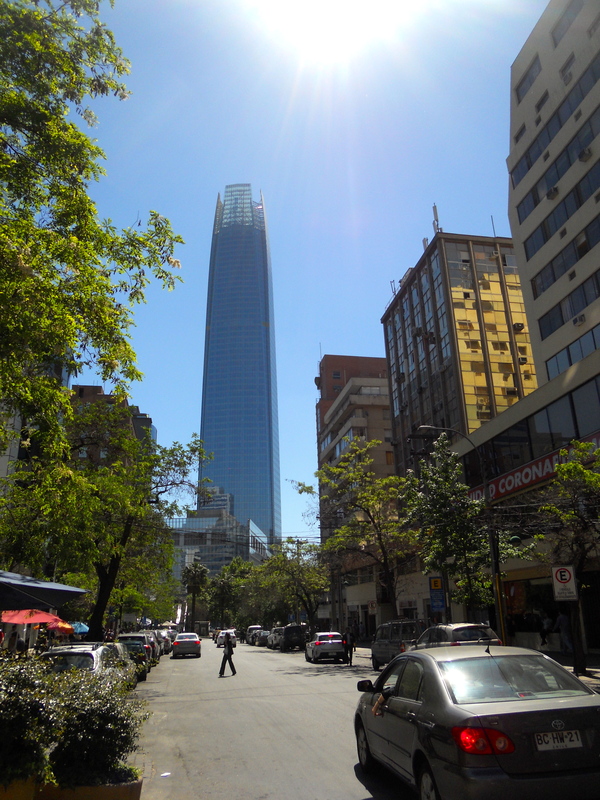 I visited Santiago in 2007 and for some reason I didn’t have a super favorable impression of the city – but I loved it this time around! 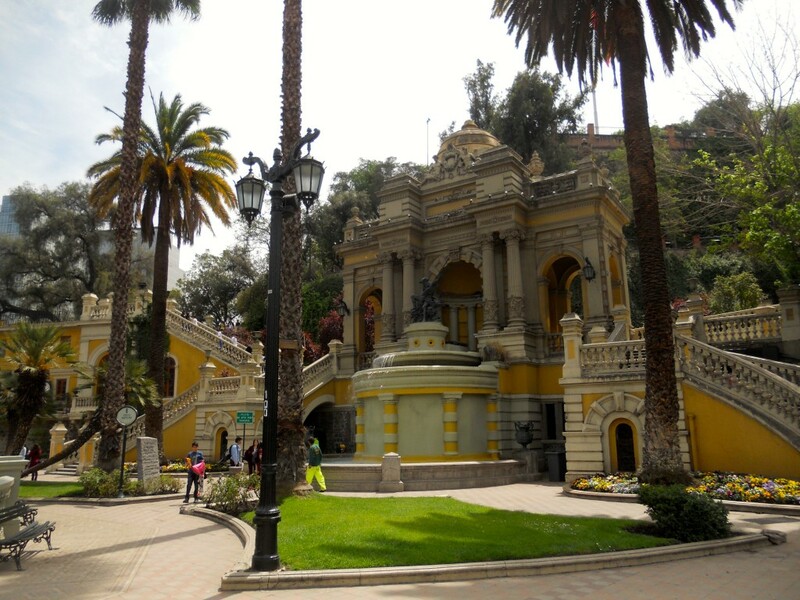 We had a lot of fun exploring different neighborhoods and parks and we really liked the city. Well, except for the smog. 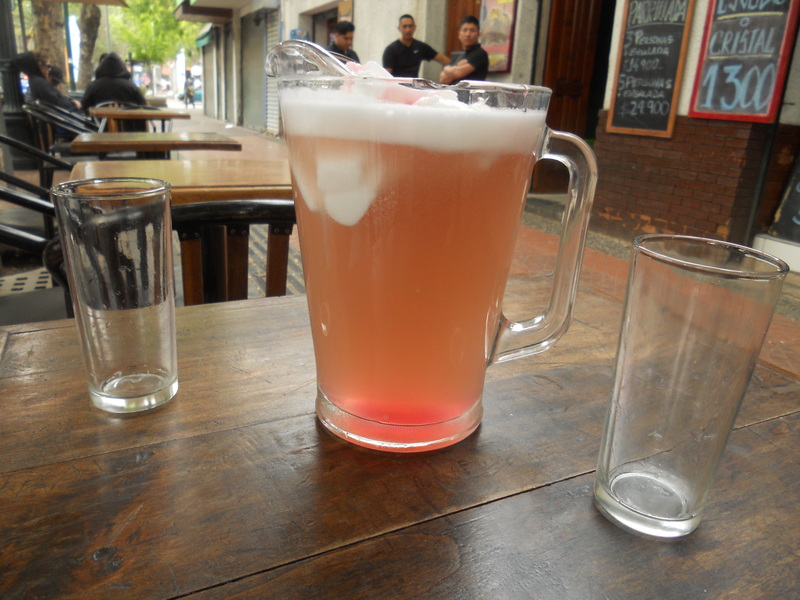 As soon as we arrived in Santiago, everyone we talked to asked us if we had tried a terremoto. So we set out to try one. And by try, I mean order a 1.5 liter pitcher of it. 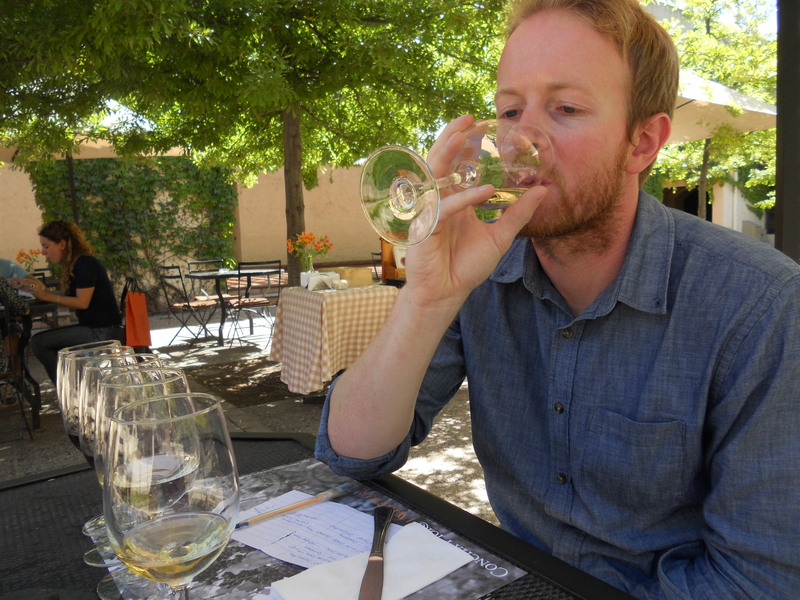 Although white wine, pineapple sorbet and fernet seemed like a strange combination, it was one of those dangerous drinks that went down waaaay to quickly. 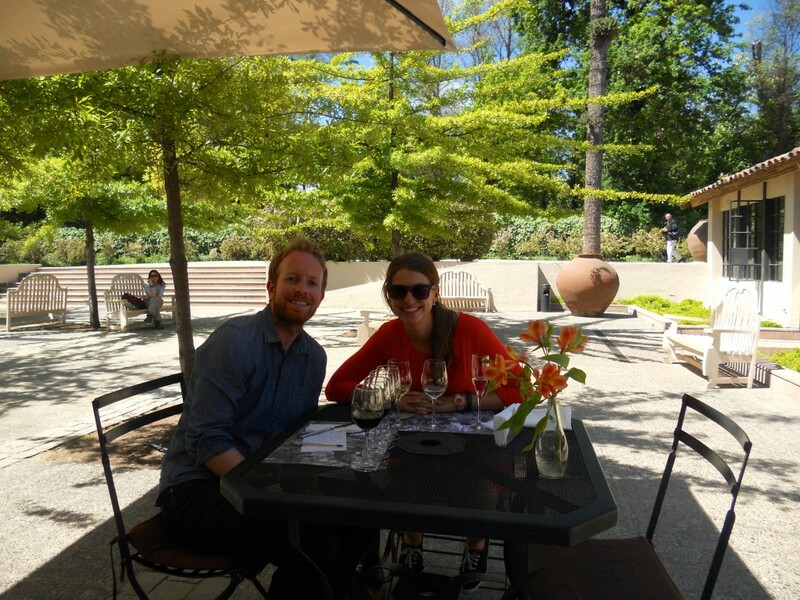 We put some serious mileage on our Fitbits in Santiago – we walked almost everywhere for the first few days. 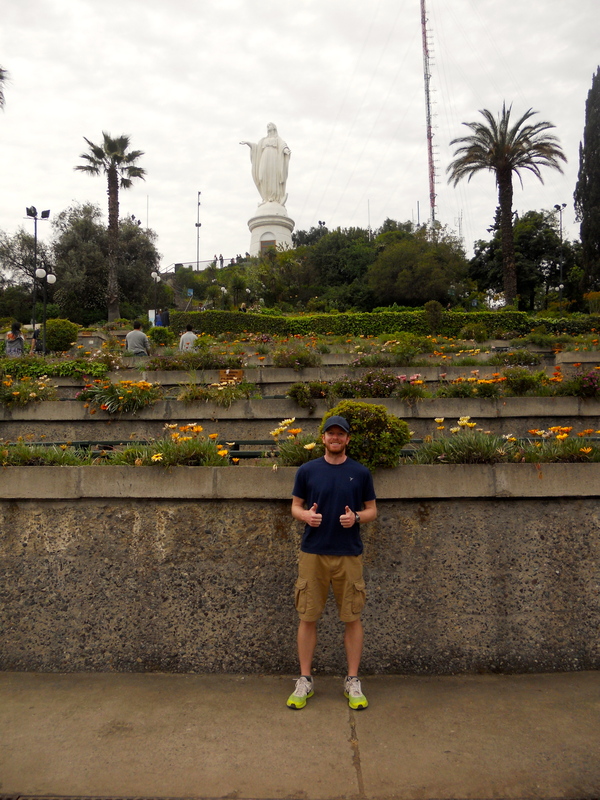 Then we decided to try out the Santiago metro and didn’t look back. It was great to use public transportation again (well public transportation that didn’t involve half sitting on a Bolivan man in the backseat of a taxi truffi). 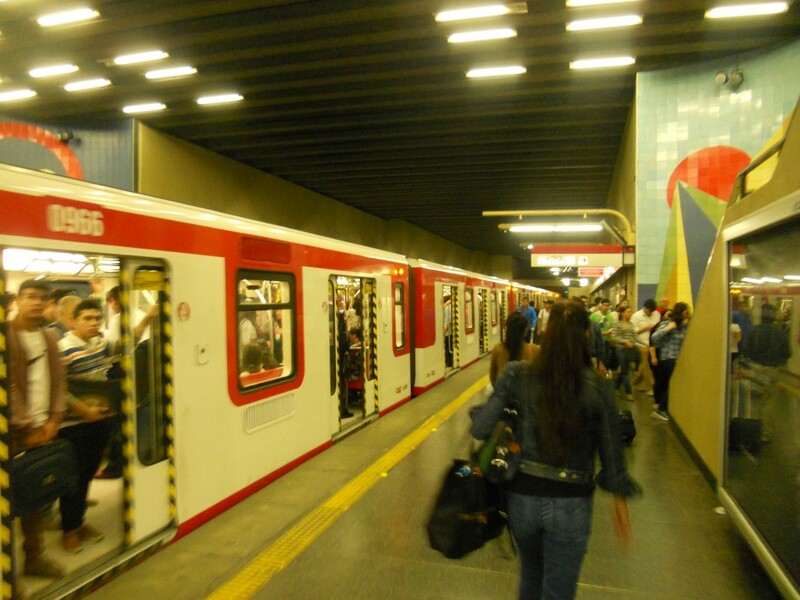 The Santiago metro was so fast and clean and smooth! The El in Chicago jerks every which way, but you didn’t even need to hold onto anything to keep your balance on the metro in Santiago. 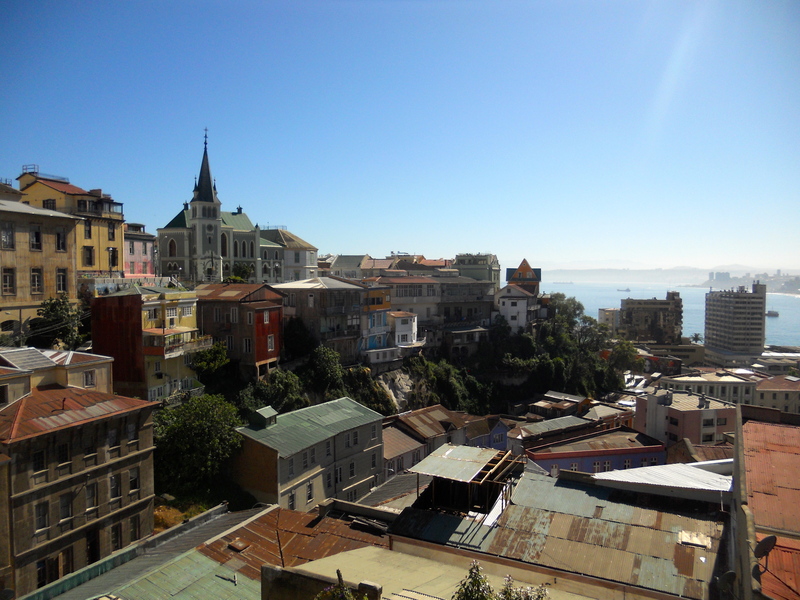 We took a bus out to Valparaiso and Viña del Mar one day. 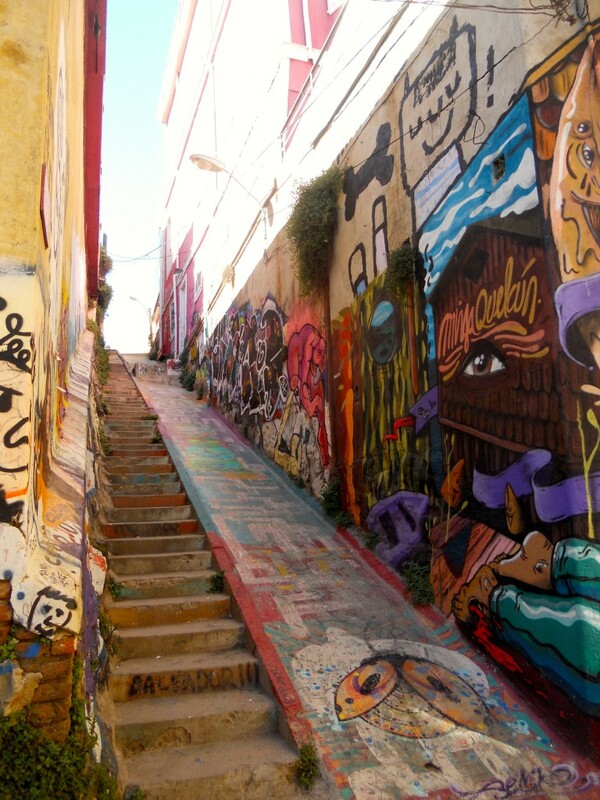 We did a walking tour of Valparaiso and saw the highlights – colorful houses on hills and lots of cool graffiti. 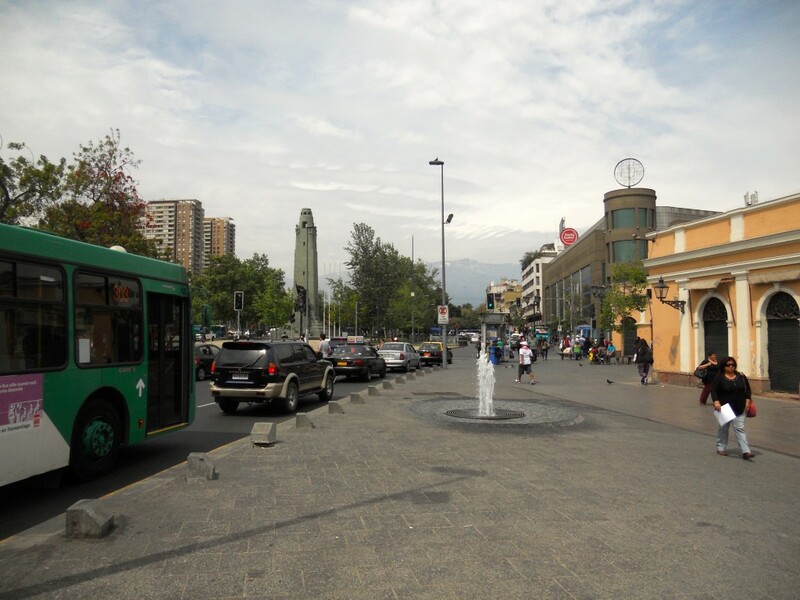 Then we took a little metro (Chile for the win with another great metro system!) 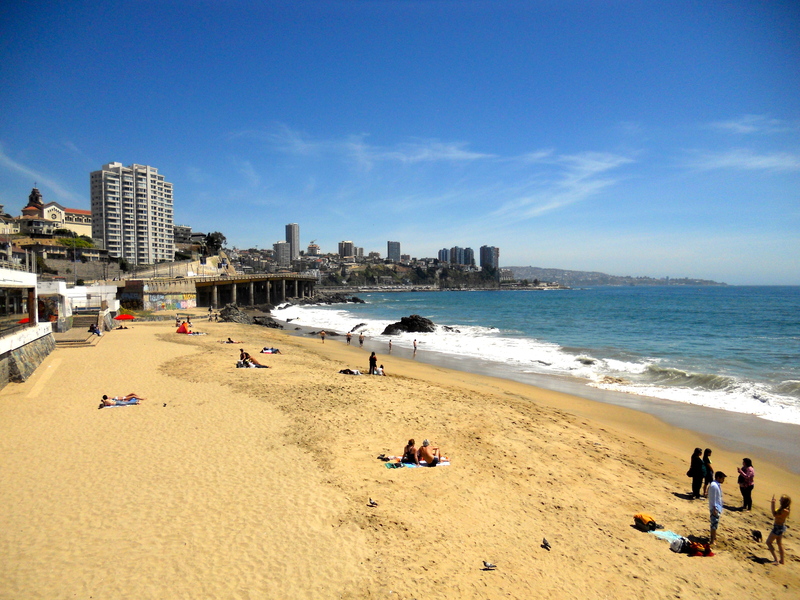 to Viña del Mar to check it out. Viña del Mar seemed like a great resort town – if only it would have been just a little bit warmer, we would have hung out at the beach longer.